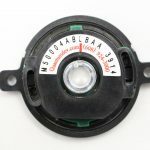 QM35 EZ-Comm - Quantum Devices, Inc.
All product ordered on our EZ-Order store will ship within 48 hours. Please contact us if you can’t find an option you require. 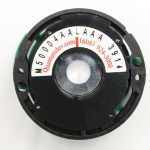 A low profile bearingless encoder. The QM35 offers a full complement of incremental and commutation signals. The EZ-Comm feature is a programmable commutation offset. 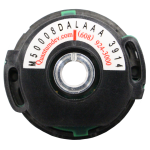 This feature allows for quicker installation and timing of the commutation channels to a BLDC motor. 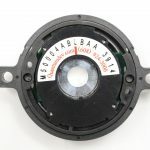 With line counts up to 8192, standard pole counts of 4, 6, 8 and 10 and the EZ-Comm feature, the QM35 EZ-Comm is a high functioning encoder with a small footprint. 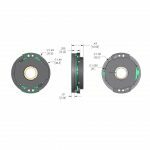 bore:* - Please Select -5mm6mm8mm.1875".250".3125".375"
360 Line Count is not available for purchase online. 14 Commutation is not available for purchase online. Please call us for a quote, or see below for more product information and request a quote. Note: A maximum of 10 encoders and 10 cables can be ordered at one time. To place a larger order, please call us at (608) 924-3000. Fill out our form below to see if your project qualifies for free samples. You may also call us anytime at (608) 924-3000! Contact Us if you do not see the file type you are looking for. Sorry! We don't have that filetype available. Please try another filetype, or contact us directly for assistance. Fill out our form below to get more information about this product. You may also call us anytime at (608) 924-3000! All of our products are proudly manufactured at our headquarters in Barneveld, Wisconsin.